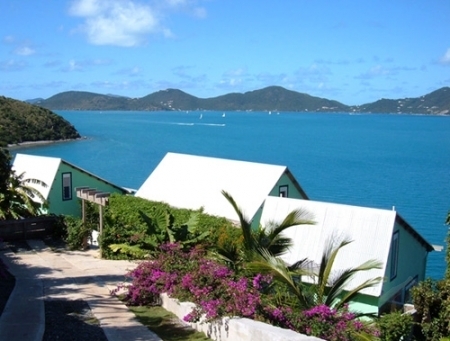 The Retreat on St. John, the smallest and most beautiful of the U.S. Virgin Islands, is a uniquely spectacular oceanfront rental villa. Built with an eye for elegant simplicity, the house perfectly complements the natural beauty of its hillside setting above one of the most pristine beaches in the world. 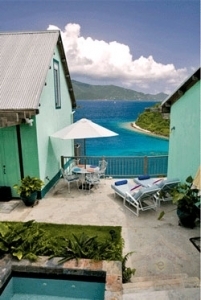 Every room in The Retreat features breathtaking views: stand in the kitchen and watch fish swim through crystal-clear aquamarine waters or relax in bed while looking out across the bay to the island of Tortola. Inside, each room is tastefully furnished with four-poster beds, slate floors, vaulted ceilings, and modern amenities. The Retreat offers luxurious accommodations for up to 10 adults and features a jetted hot tub, a lap pool, a private path to the beach, air conditioning, a gourmet kitchen, and much more.